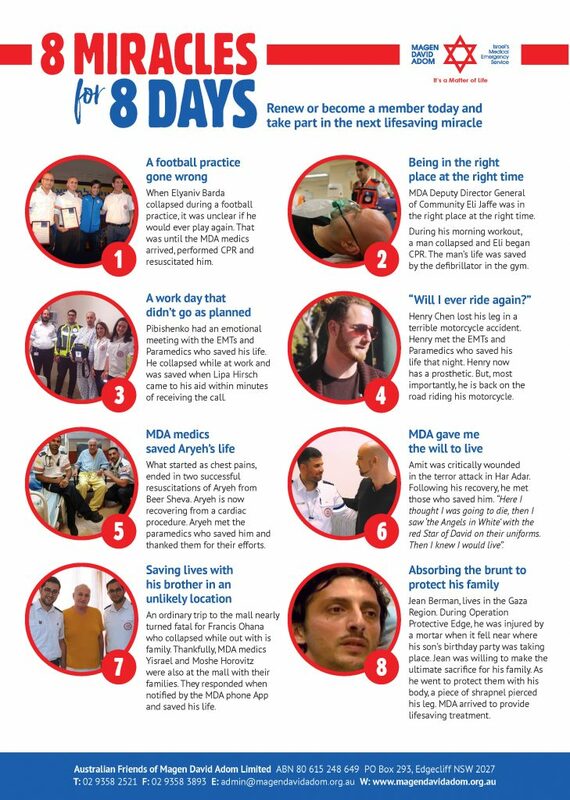 Each day in Israel, Magen David Adom emergency teams, paramedics, medics and volunteers are performing lifesaving miracles. Whether responding to serious accidents, trauma incidents, terror attacks or delivering babies, they bring the miracle of life, even when sometimes it means risking their own. Please help ensure that Magen David Adom in Israel are always ready to respond no matter the situation. Renew or become a member today and take part in the next lifesaving miracle here.